Pregnancy is so special, it’s just the two of you… just you and your baby in this moment. You can feel him/her as they move around, all those little kicks, the tiny hick ups, the twisting and turning. Only you know what they feel like, only you have that special connection. 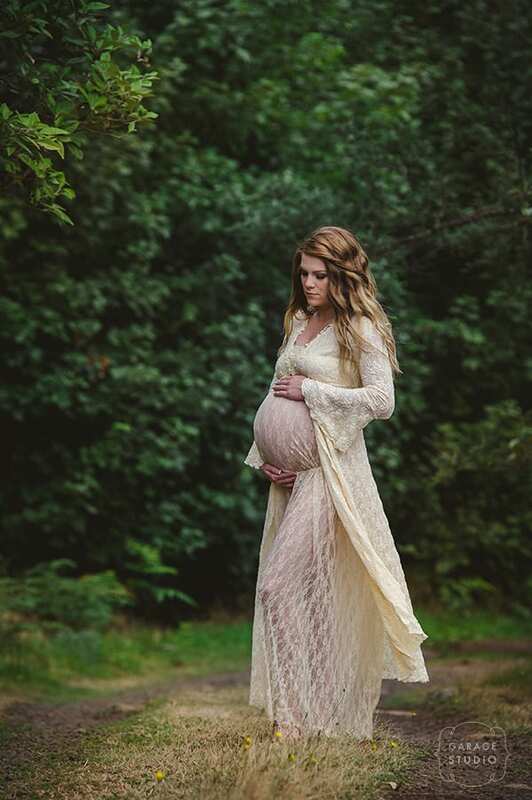 Maternity portraits will capture this beautiful time. Once you’ve booked your newborn session, take the time at the Garage Studio to just relax, enjoy being pampered and to celebrate your pending arrival. You’re welcome to share this delightful experience with your partner &/or close family members if you wish, as their lives are about to change too! We also offer outdoor Maternity sessions during Autumn, Winter and Spring. Summer is subject to weather conditions and locations. Popular exterior locations include Mt Macedon and local beaches. Faithful photography of your family life. If you’re pregnancy is complication free, and you don’t have a history of early delivery, the best time for your maternity portraits is between 34 & 36 weeks. At this time your ‘baby belly’ is at it’s best, and yet you are still comfortable enough to move around, and you’ve got that beautiful ‘glow’ happening! These lovely sessions are between one and two hours. If desired, we will arrange a Hair and Make-up artist for you. You don’t need to worry about a thing as we will provide you with all you need to know, what to bring and what to wear to your session. We also have a large collection of gowns and wraps on hand for the more ‘arty’ portraits. Thank you for considering us to capture your maternity portraits. If you’re ready, please follow the links to book your newborn session and select the maternity option. Exist in photographs now, just as you are, for who you are and for your family.